When this service works, then it's OK, it rather not hangs itself. But sometimes, after servers patching and restarts it can just not want to start. 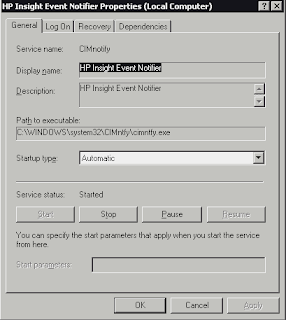 If you have monitoring solutions configured with use of HP Event Notifier then it can be important to track actual problem quickly. 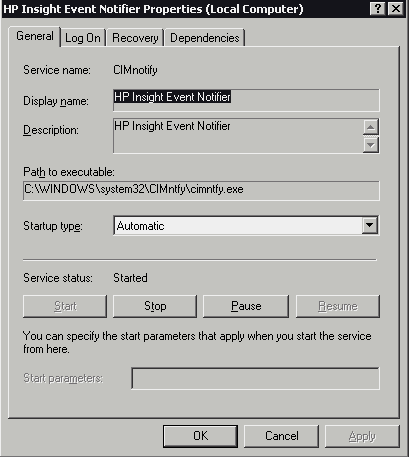 So, check first, if when starting from cmd you will see some error information which could narrow the problem, and second : check connectivity with SMTP server from the server that cannot start CIMNotify service. Maybe SMTP service on another server not responds or network guys block you SMTP port?